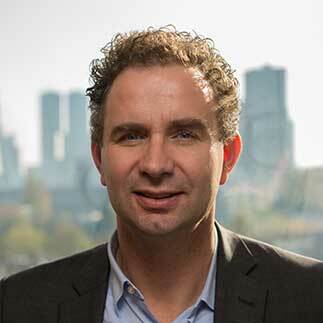 Wiro Niessen is full professor in Biomedical Image Analysis at Erasmus MC, Rotterdam where he leads the Biomedical Imaging Group Rotterdam and at Delft University of Technology. He is Chief Scientific Officer of Quantib. His interest is in the development, validation and implementation of quantitative image analysis methods in clinical practice and biomedical research, in linking imaging and genetics data, radio(geno)mics, and image guided interventions. Focus areas are improved diagnosis and prognosis of neurodegenerative and cardiovascular disease, and treatment guidance in oncology, by developing and using advanced medical image analysis and machine learning methods. He has published over 250 journal articles in these areas. He is member of the Royal Netherlands Academy of Arts & Sciences, fellow and president of the Medical Image Computing and Computer Assisted Interventions Society (MICCAI), director of the Biomedical Image Analysis Platform of the European Institute of Biomedical Imaging Research (EIBIR), and member of the International Society of Strategic Studies in Radiology (IS3R).